(CafeF) The government anticipates that solar power will become our main source of renewable energy in the future, with expecting capacity rises up to 12.000 MW in 2030, equals 3,3% total power amount of the country. Continuing the solar energy story which has lots of interests recently, many are concerned about the national budget when subsidizing the purchase price of 9.35 US cent/kWh, along with the parallel production and operation will cause pressure on capital and other related issues. Not to mention the investment in clean energy is not simple. To run at preferential prices, a lot of companies hasten to deploy their projects in order to generate power before June 30 2019 which leads other difficulties such as level of sufficiently secured operation and sources of fund. 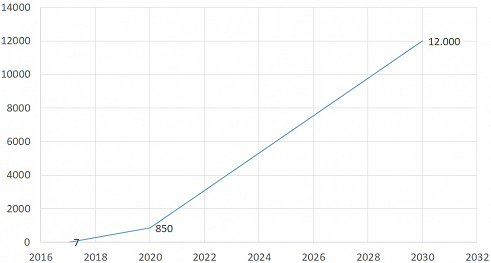 With a target of 12,000MW by 2030, how likely will this race be in the future? Resolving each problem, we first ask the question "Why solar power?". Since it is an indispensable trend, many countries around the world have long deployed, Vietnam is still behind due to the limitations of capital, technology and so. And to this day, another important reason is that Vietnam is suffering from serious electricity shortages, especially in the South, while power lines are now operating at full capacity and electricity supply for the upcoming time is quite low. It is forecasted that by 2020-2021, national electricity reserve will be in short supply in the context of increasing demand for living and production. A business in the industry revealed that the Government of Vietnam is one of the few countries that has price support scheme for consumers because the demand is too large while the supply is not sufficient to meet. Due to low living standard, leading to the Electricity of Vietnam (EVN) must directly buy electricity, and sell at affordable prices for consumers. Over time, as people's living standard improves, electricity prices will increase gradually to balance the two input and output, in fact the price of coal or electricity has also increased gradually. Currently, thermoelectricity price is at over 7 US cent/kWh, gas-electricity at more than 8 US cent/kWh. Thus, the pressure on the national budget to support the relatively high price of electricity for solar power is there, but the balance with the production, transmission of electricity is equivalent at this time. Solar power is a form of alternative energy; buying solar power goes together with limiting the purchase of existing forms of electricity; the trend is to reduce thermoelectricity because of its impact on the environment, while gas-electricity is facing exhausted. Moreover, as the living standard goes up, the government will gradually increase electricity price. 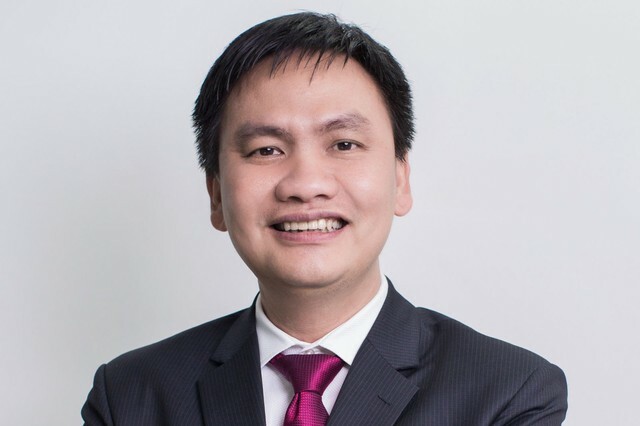 Nguyen Ho Nam - Chairman of Bamboo Capital (BCG) - shared the investment in solar power is not simple, the capital needs to be enormous therefore the high price of output is very important. It is crucial for businesses to return capital, thereby encouraging investment. Mr. Nguyen Ho Nam - Chairman of Bamboo Capital (BCG). Details of the deployment of a solar power project, Nam reveals, the first thing is the land fund must be large enough, the second thing is financial ability, the third involves technical strength and the last but also the most difficult thing is getting the agreement from the government as well as the local people (because the investment will affect more or less the area where the electricity is generated). Although dozens of businesses do, however, competition hardly exists, because of the urgent need and the number of project deployments is small. In particular, capital investment is a causing headache problem, when under the terms of the sample contract to deploy solar power project, the business must have enough capital and in case of mobilization needed, business is only able to make a loan at domestic banks. Furthermore, the sample contract does not contain provisions on bargaining terms so many investors have difficulty negotiating the source of capital, Nam explained. It is estimated that the number of projects waiting for approval increased sharply from tens to hundreds of domestic and foreign investors. The total capacity is estimated at over 12,000 MW, mainly in Ninh Thuan, Binh Thuan, Tay Ninh, Ha Tinh with appropriate features of land and sunshine conditions. As for BCG, the company is deploying 3 projects in Long An with the total capacity of 200MW, total investment capital is about 200 million USD, BCG owns 30% and the remaining 70% mobilized from domestic banks with the interest of 8.5%. Remarkably, the company is also submitting floating solar project to the Ministry of Industry and Trade - due to inadequate land funds - in Quang Nam. "The solar project on the lake will actually cost up to 20% more of the investment on the ground, but the productivity will also be 10-15% higher. BCG and an EVN unit is currently planning to launch a solar photovoltaic cell assembly, and future plans will be implemented by a number of units because of the limitation of land”, said BCG representative. Among three projects in Long An, one with the capacity of 40.6 MW has just broken ground. The remaining two projects including the 100MW have completed legal procedures scheduled, expected to start in late November and the 50MW project is being submitted to the Ministry of Industry and Trade. BCG aims to construct, operate and generate electricity before 06/30/2019 in order to get EVN incentive electricity purchase price. And so, the revenue from solar power according to Mr. Nam will be accounted in BCG Financial Statement right in 2019, and will occupy a large proportion until 2020. Recalling this year's AGM, BCG shifted focus on two areas which are real estate and solar energy, the target for total revenue from these two new areas will be 60-70% in 2019, the figure of profit margin will be at 80-90% due to high real estate margins. Currently, BCG is investing in two projects, one is Malibu in Hoi An - planning 676 condotels constructed by Coteccons, expected to sale launch in the end of November this year and the other one is Thao Dien project - phase 1 deploying 17 premium villas, the company targets the high-class segment in the provinces such as Nha Trang, Da Nang, Hanoi. Back to the story of renewable energy, with a target of 12,000MW by 2030 according to Mr. Nam is also quite small, only under 10% of total electricity consumption in the country today. Follow this, the surplus power investment remains quite a lot, along with other forms of other electricity such as wind energy. In fact, Vietnam is turning to renewable energy sources to maintain electricity production without increasing production costs as the demand grows, along with the shortage of raw materials. The government expects solar power to become the main source of renewable energy in the future, with installed capacity increasing from 6-7 MW at the end of 2017 to 850 MW by 2020, equivalent to 1.6% total electricity output of the whole country. The figure is expected to increase to 12,000 MW by 2030, equivalent to 3.3% of the country's total electricity output. On October 08th , 2018, during the week of Long An Investment Promotion Conference in Korea, BCG has signed multiple Cooperation Agreements with Green Egg Corporation and ABA members regarding information sharing and technology transfer, as well as investment policies of Vietnam in general and Long An Province in particular, in order to help Korean businesses expand their range of operation in Long An Province.